Some plants are so showy that they’ll stop you in your tracks. Salvia ‘Hot Lips’ is just such a showstopper! 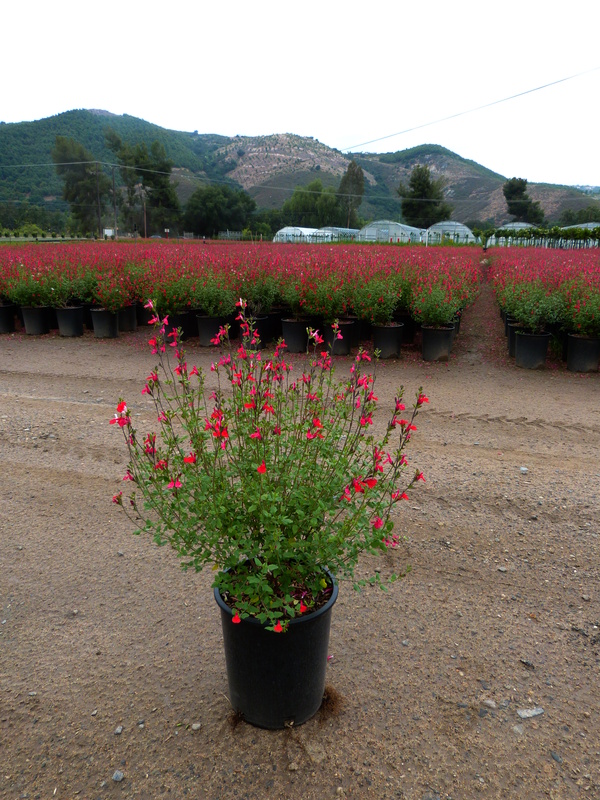 This bushy perennial salvia produces masses of bicolor blooms in a striking red and white pattern. The upper petals of the flower is pure white, while the lower “lip” is a bright cherry red. Plants bloom for months on end; from spring through frost. Foliage often turns a burgundy color in fall. Hummingbirds and butterflies can’t resist ‘Hot Lips’, which provides flowers for them even during the hottest summers. Be sure to give ‘Hot Lips’ some elbow room in mixed plantings; plants grow to about 3-feet tall but can reach 6-feet in width. They are a perfect complement to any water-wise mixed perennial border or massed planting. Once established, plants have low water needs. Plants are very similar to Salvia greggii, but have smaller leaves. Plants thrive in full sun conditions but can tolerate some afternoon shade. Provide well-draining soil.